In the last half of the twentieth century, a once respectable and religious Britain became a seriously violent and dishonest society, one in which person and property were at risk, family breakdown ubiquitous, and drug and alcohol abuse rising. 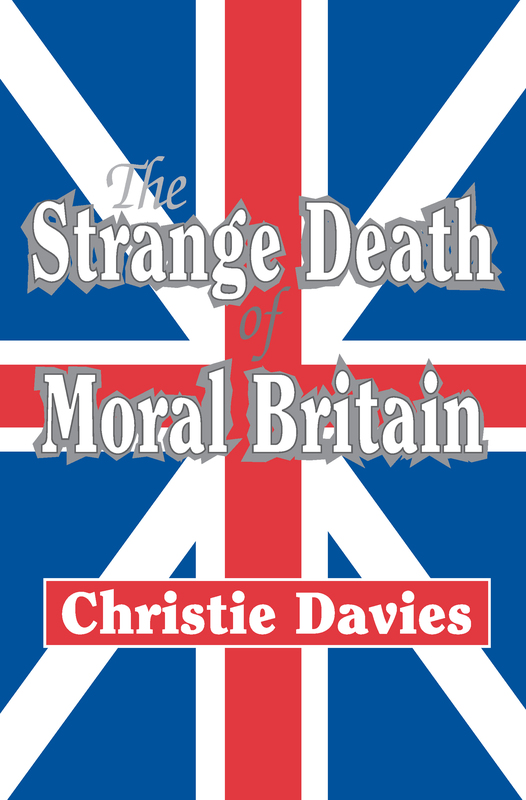 "The Strange Death of Moral Britain" demonstrates in detail the roots of Britain's decline. It also shows how a society, strongly Protestant in both morality and identity, became one of the most secular societies in the world. The culture wars about abortion, capital punishment, and homosexuality that have convulsed the United States have little meaning in Britain, where there is neither a moral majority nor an indigenous emphasis on rights. In the period when Britain had a strong national and religious identity, defense of this identity led to legal persecution of male homosexuals. As Britain's identity crumbled, homosexuality ceased to be an important issue for most people. Similarly, all the pressing questions on abortion, capital punishment, and homosexuality were settled permanently on a purely utilitarian basis in Britain, where all sources of moral argument are weak. The ending of the death penalty marked the decline of the influence of the official hierarchies of church and state, the Church of England, the armed forces, and their representative, the Conservative Party. "The Strange Death of Moral Britain" is a study of moral change, secularization, loss of identity, and the growth of deviant behavior in Britain in the twentieth century. Based on detailed scholarship, it is a tightly argued and clearly written volume that will be of interest to scholars of religious studies and British social history.